2 Ladies living in LA with 1 wise producer chiming in as a bonus. Sharing real world challenges on the life of actors, dating, marriage and more. Always candid and completely off the cuff. Tiff is an award winning Actress/Comedian, Writer and Producer. 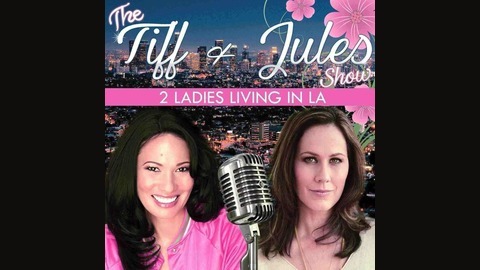 Jules is an award winning Actor, Author, TEDx Speaker, and more. Chay is an incredibly talented LA based music producer, musician and author. Tune-in for some fun, truth, insights and inspiration. Join us as we catch up after a little time apart. There's no lack of the usual disagreements, deep discussion about relationships, exploration of the pursuit of unsafe options and cheers to Chay reading Julieanne's book, Spelling it Out for Your Man. Join us for another roller coaster show that takes us on many journeys. 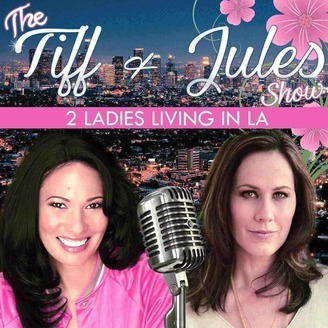 The Tiff and Jules Show – #22, "Don't Tell Me 'Cause it Hurts"